OPPO, the Selfie Expert and Leader, today announced the launch of the much awaited OPPO F7 Diamond Black 128GB with 6GB RAM. F7 is the brand’s first FHD+ Super Full Screen display model in India featuring the A.I. Beauty technology 2.0 and industry’s top 25MP front camera. With technology designed to personalize beautification for subjects on a selfie image, the OPPO F7 Diamond Black is equipped to perform faster and better with 6GB RAM and 128GB ROM), an upgrade over the recently launched OPPO F7, to satisfy young consumer needs. The F7 Diamond Black 128GB First Sale begins from April 21st across India. 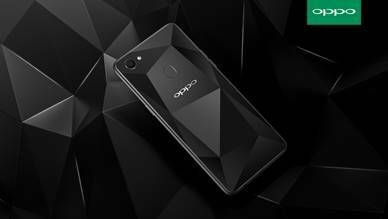 It will be available online on Flipkart, Amazon, PayTM and all OPPO offline stores across India at a price of INR 26,990. Recently, OPPO had launched F7 of this color variant with 4GB RAM and 64GB of inbuilt storage capacity at Rs. 21,990. Till now, the phone has received overwhelming response from the consumers. Inspired by its namesake gemstone, the F7 Diamond Black model is a symbol of elegance and technological perfection. Meticulous care and artisanal skills, as used in cutting and polishing diamonds, is applied to every device. A multi-layered metallic and glass back cover replicates a diamond-like glow and light refractions, with triangular-cut patterns that shimmer bright and dark shades when seen from different angles. From the edge to the center of the phone, rainbow colors shine and glimmer, a design and color never seen before. The special edition has a unique glass body that shimmers like gemstones, reflecting different colors with each glance from the user. The F7 Diamond Black features a high-resolution 25MP front camera with real-time High Dynamic Range (HDR) sensor. Images taken with the F7 will have a lot more “information” – a higher range of details, luminance and color levels when shot in bright sunlight or the shade, similar to images taken with a good quality digital camera. Thus, the user has a lot more control – regardless of whether photos are taken in bright or low light environments. 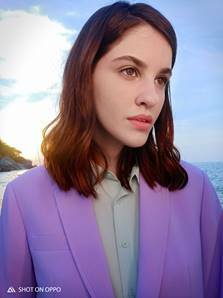 The HDR images, together with AI Beauty 2.0 with its ability to make improved age and gender beautification effects, will give selfie fans a much-enriched experience. OPPO first introduced the F5 with AI Beauty technology, making selfies more real, natural and personalized. The latest F7 Diamond Black will have second-generation AI Beauty 2.0 technology that pushes the envelope on selfie photography even further. New advances include more accurate facial recognition capability, better beautification effects for gender and age; Self-learning capabilities based on user preferences plus added fun features. The F7 Diamond Black comes with an improved 2280 x 1080 resolution, 6.23” FHD+ Super Full Screen gives a much more colorful, vivid and immersive visual experience. The larger screen fits perfectly in the palm of your hand. The F7 is also one of the first smartphones with a customized 19:9 aspect ratio, giving the user a larger area of effect for popular role-playing and strategy games. It achieves this amazing visual feat by incorporating a notch, featuring the front camera, brand-new antenna and light sensor, neatly integrated into the screen. The F7 runs on the latest 6GB Octa-core processor, with a much refined operating system. Based on Android 8.1, ColorOS 5.0 has AI built into the software for better systems management.